Norwalk, Conn. – Perry Fina was an American born, Italian-trained master mechanic who opened an imported car dealership and service center on West 54th St. New York City back in the early 1930’s. After World War II, Perry’s son Joe, who had served with distinction in the Army Air Corps during the war, joined the business with his father. Together they came up with the idea of building a stylish Italian sports car on an American chassis. 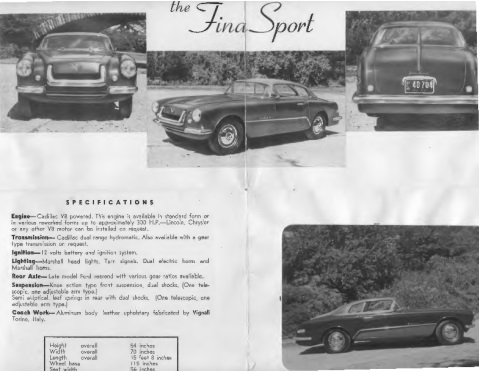 The Fina Sport was advertised as “An Exclusive Car to please the man of discriminating taste.” It was built on a modified 115 inch Ford chassis with a Cadillac V8 engine reworked to produce 300 horsepower, Cadillac Hydromatic transmission and an aluminum body by Vignale. Other V8 motors such as Chrysler or Lincoln were said to be provided at the customer’s request. 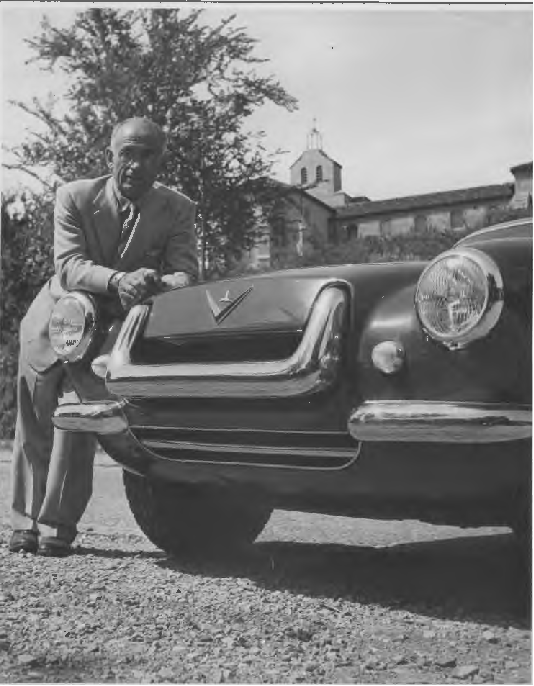 Vignale was a Torino-based automobile coach building company who built their first body on a Fiat in 1948. Features of the car included 12 volt battery system, Marchal headlights, turn signals, dual electric Marchal horns. 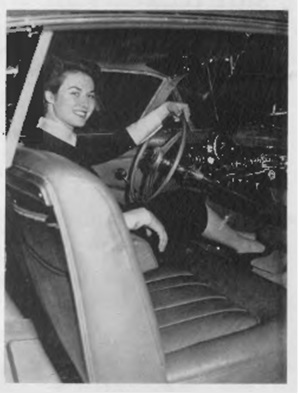 Suspension was knee action in front with dual shocks (one telescopic and the other adjustable arm type), semi elliptical leaf springs in the rear also with dual shocks. 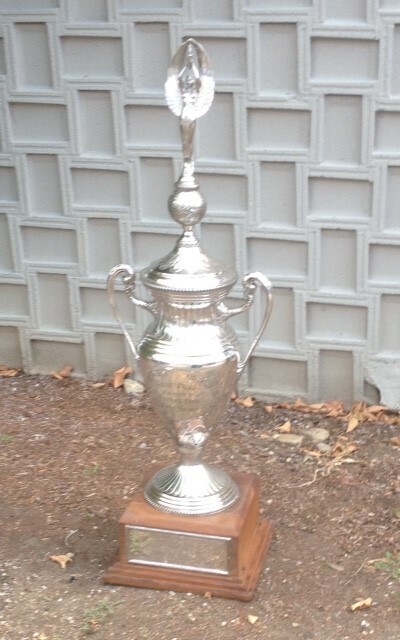 The car had an overall length of 15 feet 8 inches, width 70 inches and height of 54 inches. 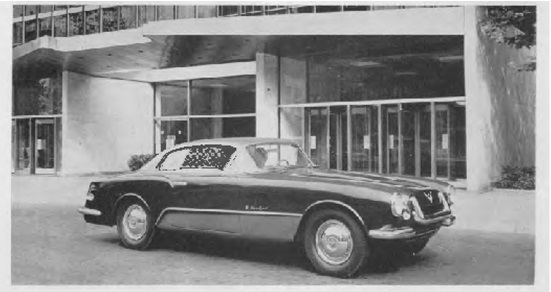 At the 1954 World Motor Sports Show held in Madison Square Garden in New York, the car was awarded the Grand Prix in the custom sports car division. 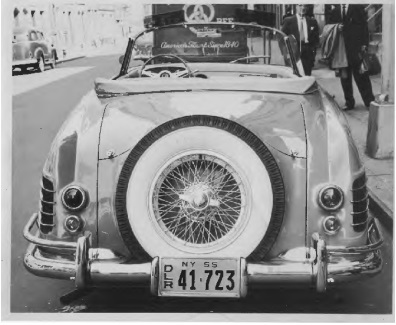 Here are excerpts from the press release describing this 18-foot-long convertible introduced in 1955: “In addition to such fancy accessories as Carlo Borrani wire racing wheels with “knock-off” hubs, Continental mounted spare wheel and tire, radio, heater, defroster, 6,000 RPM tachometer; the Italo-American creation also features fully adjustable airplane-type reclining seats and a manually adjustable André Tele-Control shock absorbing system. 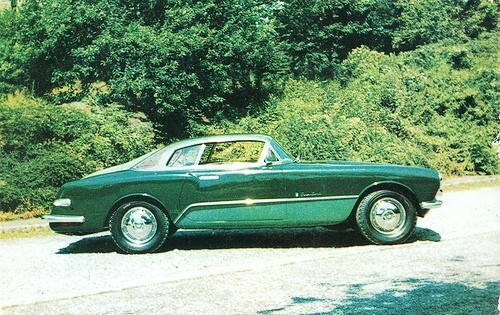 The sleek body … is upholstered entirely in genuine calfskin leather … the tire size is 6:50 x 16″. Suspension in the front is by coil springs, aircraft shock absorbers and manually adjustable tele-control shocks; the rear suspension is the same except semi-elliptical springs are employed instead of coil springs. The Fina Sport is fitted with two sets of Marchal lights, one for driving in normal traffic, another for night-time highway touring; these are fitted gracefully into the radiator grille. The very professional looking steering wheel is of the competition type being made by Nardi-Denese of Italy. The wheel frame itself is made of aircraft duralumin and polished Honduran mahogany; lock to lock 2½ turns. Overall height with top up was 56 inches; wheelbase and width were 114 inches and 74 inches, respectively. 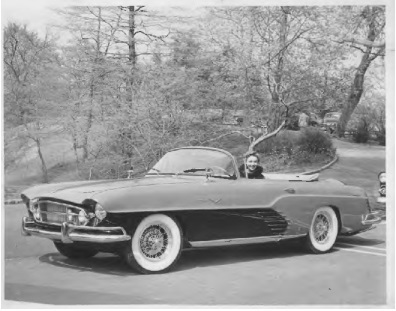 In early 1956, the convertible won the prestigious Concours d’Elegance trophy at the Philadelphia Autorama.